MTB: a multifunctional mountain bike for offroad terrain, rocky roads, and cross country. Road: a light racing bike with slick tires for highways, not for offroad and cobbled streets. BMX / Dirtjump: a bike used for high jump attractions or in the bike park. Youth: bicycles for teens and children. There are variants of Road bike, MTB and the special bicycle of children. Gravity: mountain bike (MTB) designed to sports downhill (downhill) at high speed. Trail: mountain bike (MTB) used to explore offroad terrain especially steep and rocky. There are two variants that are with the middle suspension and without the middle suspension. Enduro: mountain bike (MTB) designed to explore extreme offroad terrain in the mountains or outside the city. XC Sport: mountain bike (MTB) designed to follow the XC race with a more affordable price and remain tough to explore cross-country terrain. Leisure: mountain bike (MTB) is designed with a more upright sitting position for the convenience of driving. This bike can be used multifunction both in offroad and urban. Women: mountain bikes (MTB) designed specifically for female riders with many advantages to making it easier for women, such as a closer steering range, a design that eases up and down bikes, as well as safe control controls for women. Race: a race bike (road race) that is designed specifically for high performance at the speed of the competition. Sturdy, light and responsive to speed lovers. Endurance: a specially designed road race with a more upright sitting position to increase comfort while traveling further in touring or training endurance. Flatbar: a specially designed road race with a straight handlebar for a more upright driving position to provide a more comfortable ride experience. Hybrid: a special bike designed with mountain bike frame geometry (MTB) but with 700C wheels like on a road race. This bike offers a new experience driving in the city with the comfort and speed that suits the terrain. Speed Utility bike (SUB): bike for urban style and minimal maintenance. Equipped with a belt as a replacement chain and internal gear will reduce the noise while driving and of course maintenance free. City: the most widely used bikes in urban or residential. With accessories such as baskets, lights, and rear carrier, Sierra city bike type bikes are an excellent choice especially for short-range commuting and daily activities. There is also a stylish Zenith series with 700C tires, Belt drives instead of chains. Tandem: unique bike specially designed for two riders at once. It is suitable for cycling in the recreational park or around the housing with your beloved partner or family. Folding: a practical and innovative folding bike for the high-powered ones. Can be folded and stored in a limited space so that your bike experience becomes infinite any place. Dirt Jump: a bike that is specially designed to perform high jump attractions. Equipped with a sturdy frame to dampen the impact when the bike re-touch the ground. Freestyle: BMX bike specially designed to perform attractions on the flat terrain around the house, street or bike park. Equipped with sturdy frame and fork and double wall 20 "rim for any challenge. BMX Race: BMX bike specially designed for a race! With a lightweight, ALX material will take you to the podium in every race. Road (Youth bikes): a road race specifically designed for junior racers with lightweight ALX frames and 24 wheels and a suitable control room design for high-speed control stability. MTB (Youth bikes): mountain bike specially designed for a junior rider. Available in 24 "and 20" sizes according to the child's height. Kids (Youth bikes): a beginner bike for children aged 5-6 years to start loving bicycles. 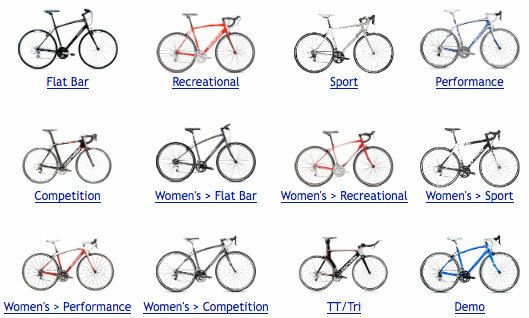 Once, determine the appropriate type of bike, you can choose the size of the bicycle frame. This measurement is intended to determine the size of the bike frame that fits to be comfortable in cycling. Frames too big or too small are not very comfortable to drive every day except for special purposes eg freestyle, trial or extreme sports. 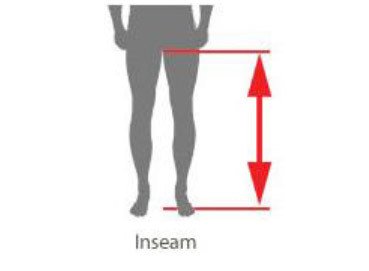 The measurement variables themselves include; height/height and length of inseam or groin distance to the ground. First, take off your shoes. Stand with the back position against the wall, the position of the foot is opened with a width of less than shoulder-width apart. Assistance to measure your height from feet up to your head. 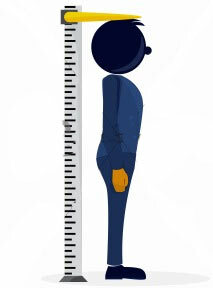 Change your height in inches or centimeters (cm). The length of your foot or bicycle inseam is different from the inseam on your shirt or the size of your jeans. Start by taking off your shoes. 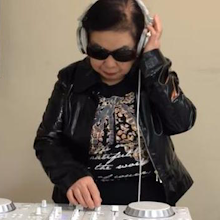 Stand upright on a flat and hard floor surface. Rrain the ankle +/- 5 cm. Create a wooden stick (+/- 30cm) to put in a groin/groin. The length of inseam starts from the floor to the stick in the groin. Close your inseam size in inches (in) or centimeters (cm). In essence, these measurements will produce frame size figures using CT (Center to Top) method of calculating the distance from the center Bottom Bracket (BB) to the top of the seat tube. It also produces crank size figures calculated from the crankshaft (BB) up to the pedal axle, this is intended to make the rider more comfortable when pedals. So, determine your needs before deciding to buy the type of bike for maximum comfort and cycling safety.